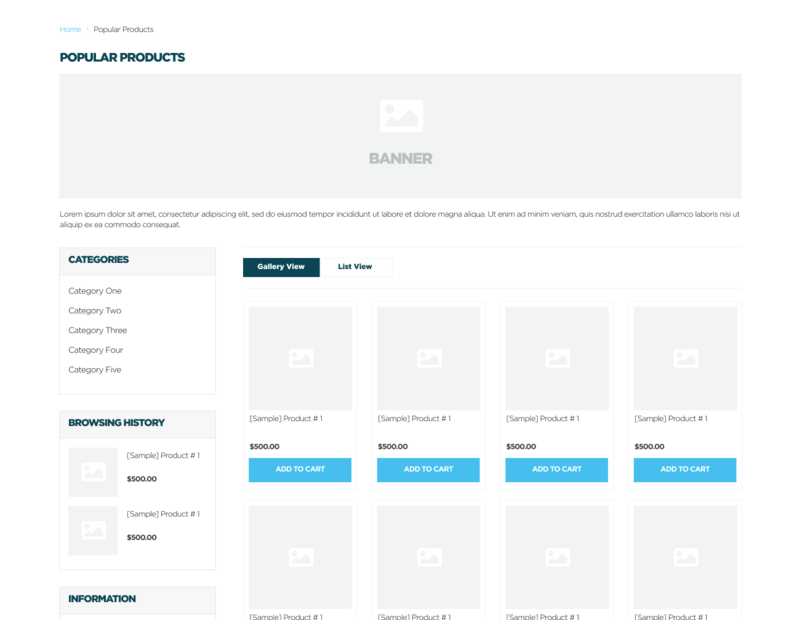 Generates a list of all products on sale. First up, make sure to construct this on a copy of your category page - it will use the same basic template with the following tweaks. Afterward, create a content page called "On Sale" and assign the new cloned template. At the head of the file, change the page type variable to use something that isn't category. We do this because we don't want to trigger the category options that usually appear in the sidebar include as filters will not work with this tweak. Adjust the thumb_list for the product list on this page to have the following parameters.